A Spacesaver system could save you 230% of your floor space in your storage or filing areas. Lease or build a smaller space and show a fast return on your investment (ROI). 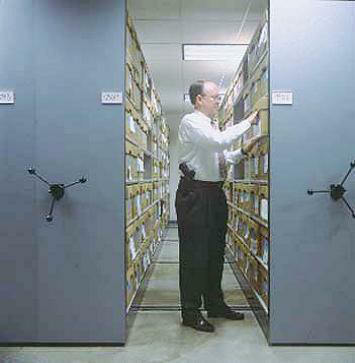 Spacesaver Evidence storage system could triple the capacity in the same floorspace. Organize Evidence, Personal Effects, Weapons, and Drugs all in one system. Spacesaver systems now have drawers that fit inside the units. 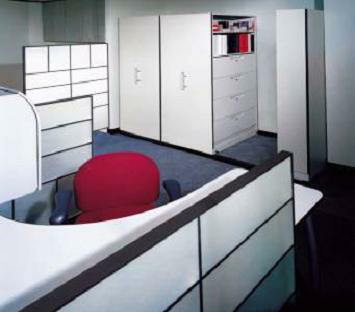 Smaller units go into offices and replace lateral cabinets. Unit above equals 5 lateral file cabinets plus storage above in an 8’6? wide space. How can HD Files (a.k.a. Spacesaver of Texas) help you? 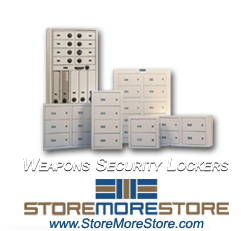 Unlimited accessories for weapons, files, boxes, personal effects, and gear.